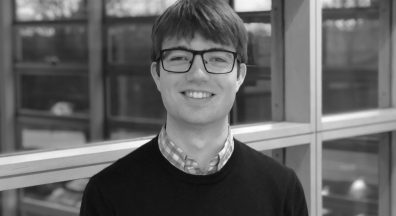 ThoughtRiver is pleased to welcome Lachlan Harrison-Smith as a senior legal hire and a new addition to the team based at our Cambridge office. Lachlan’s chief responsibility will be the development and governance of ThoughtRiver’s and contract digitisation framework, Lexible. Lachlan is an Australian-qualified solicitor specialising in commercial litigation. Lachlan joins ThoughtRiver after over 8 years with leading international law firm Herbert Smith Freehills in Melbourne and London. His experience spans a wide range of large and small scale commercial matters, including contractual disputes, leasehold disputes, employment law, financial services, class actions, product liability and insurance disputes. Lachlan spent over three years based in London with Herbert Smith Freehills’ insurance disputes practice. Lachlan holds honours degrees in Law and Arts from the University of Melbourne, where he completed an honours thesis in Linguistics. In 2014-2015 he completed an LLM at the University of Cambridge, specialising in commercial law. Lachlan firmly believes there are few problems that couldn’t be solved if more people rode bicycles. He is looking forward to the exciting next stage of his career at ThoughtRiver.